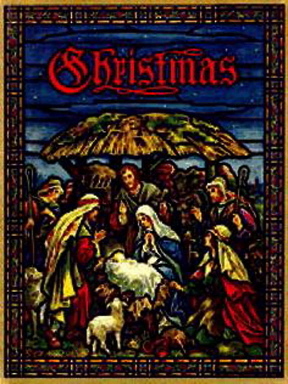 During the Christmas season, Christians celebrate the birth of the central figure of their faith, Jesus Christ. But some Christians across America worry that the holiday marking their savior’s birth has become so secularized, it has lost its original meaning. VOA, 15 December 2004 — For example, officials in Denver, Colorado, were taken by surprise earlier this month when their city’s holiday parade became the subject of a peaceful, but deliberate protest. The officials had denied a local church permission to have an overtly Christian float in the annual parade, saying they did not want the public celebration to become too religious. And that is what they did. Church members sang carols about the birth of Jesus. They handed out free tickets to church-sponsored Christmas pageants. And they even passed around hot chocolate in paper cups emblazoned with their church’s name. In recent years, local officials across the United States have toned down the way governments display some of the more overtly religious symbols and traditions associated with Christmas, because they recognize that not everyone they represent is Christian. But the holiday is, say frustrated churchgoers like Patrick Korten, a spokesperson for the Roman Catholic Knights of Columbus organization. But not all Christians believe that is so important. John Boykin, a writer in California, has called for Christians to embrace the secularization of Christmas. He says a communal emphasis on the religious aspects of the holiday can alienate some people, especially in a culture as religiously pluralistic as America’s. And besides, he says, fighting against secularization is a losing battle. Mr. Boykin says Christmas has become a time for people of all faiths to be with their families and celebrate the spirit of giving. And that’s not a problem, he says, because ultimately the story of Christ’s birth is not central to Christianity. Meanwhile, officials in Denver are reconsidering their policy of not allowing overtly religious floats to participate in the community’s holiday parade. And, for what it’s worth, Christmas does still enjoy a special status in America each December. The Jewish holiday of Chanukah also falls in that month. And, depending upon the lunar cycle, so can the Islamic holy month of Ramadan. But Christmas is the only December celebration that has been designated a federal holiday. And that means that Christians who do want to keep Christ in Christmas can attend church services, without having to worry about going to work.